We offer photo candles with personalised printing for every occasion: For birthdays, advertising purposes, private or corporate anniversaries. As all of our candles in best quality and in a wide range of variations. 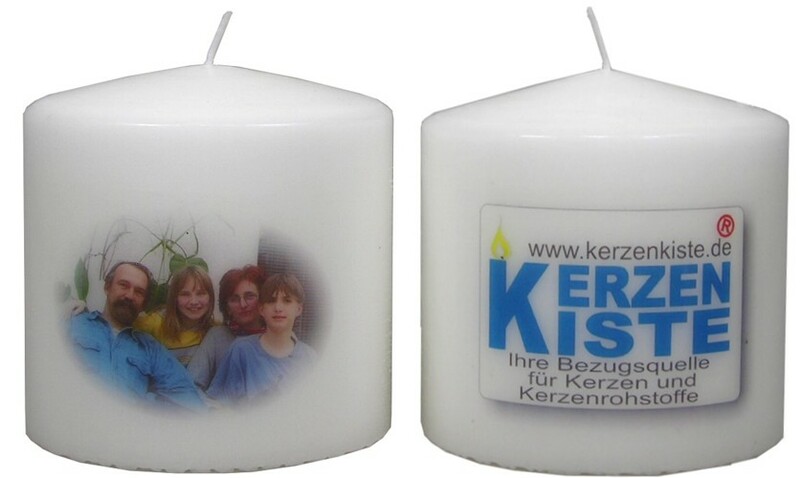 All of our photo candles are handcrafted in our factory in Germany. 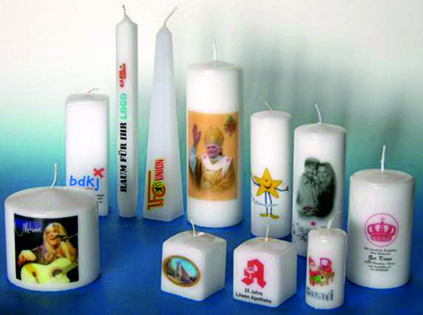 Due to the variety of candle sizes, we can offer photo candles at very favorable prices, such as our photo candle 100x50mm. We will gladly overtake simple graphic works such as an additional text below / above the image at no additional cost. After the photo candles were printed they get refined by a protecting thin layer of wax, to avoid damaging of the printing. Alternatively, a high-gloss refinement can be ordered at extra charge. 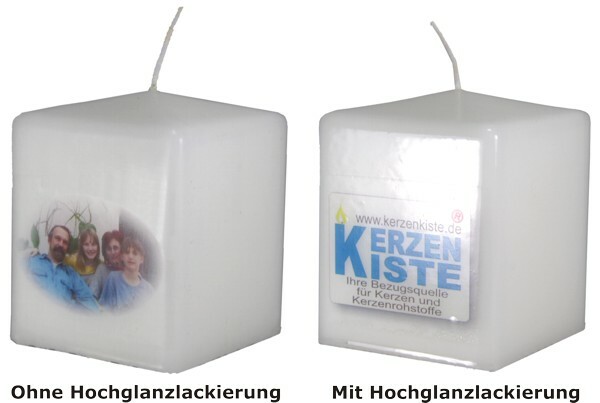 As the printing is done with CMYK, a printing of colored candles is very limited. We will be happy to make you an individual offer if your requirements exceed the largest scale quantity. Please contact us to under info@ihde-kerzen.de.